Title Insurance is Your Best Bet. Title insurance protects the interests of property owners and lenders against legitimate or false title claims by previous owners or lien holders. It insures the investment, unlocking its pot ential as a finan cial asset for the owner. At Pacific Coast Title we access, assemble, analyze, and distribute title information, in addition to handing escrow and closing. Title problems are discovered in more than one-third of residential real estate transactions. These “defects” must be resolved prior to closing. The most common problems are existing liens, unpaid mortgages, and recording errors of names, addresses or legal descriptions. 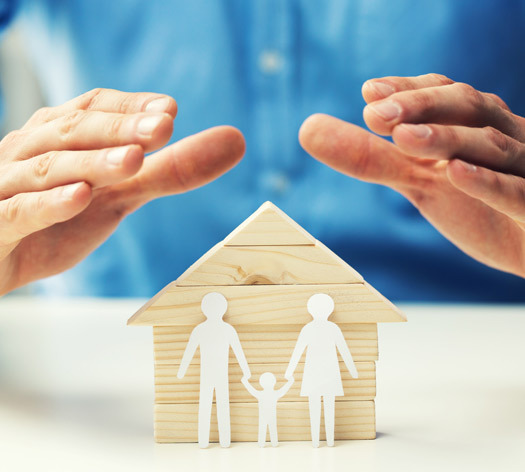 A homeowner’s title insurance policy protects the owner for as long as he or she has an interest in the property; and the premium is paid only once, at closing. Title insurance is different from other forms of insurance because it insures against events that occurred before the policy is issued, as opposed to insuring against events in the future, as health, property or life insurance do. Title insurance is loss prevention insurance. Pacific Coast Title relies on a thorough search of existing records to identify all possible defects in order to resolve them prior to issuing a policy. We perform intensive and expensive work up-front to minimize claims. The better we do this, the lower our rate of claims and the more secure your level of protection. Researching titles is extremely labor-intensive since only about 15 percent of the public records are computerized. The industry invests a substantial amount of time and expense to collect and evaluate title records. On a combined basis, the total of operating expenses and loss expenses (claims) of title insurance amounts to 98.3 percent of revenue, while only the remaining 1.7 percent comprises the historical profit margin in the industry. Dollar for dollar, title insurance is the best investment you can make to protect your interest in one of the most valuable assets you own: your home. Title insurance insures a real estate investment, unlocking its potential as a financial asset for the owner. As such, title insurance plays a major role in the confidence that lies at the heart of our nation’s real estate market and economy. © PACIFIC COAST TITLE COMPANY All rights reserved.